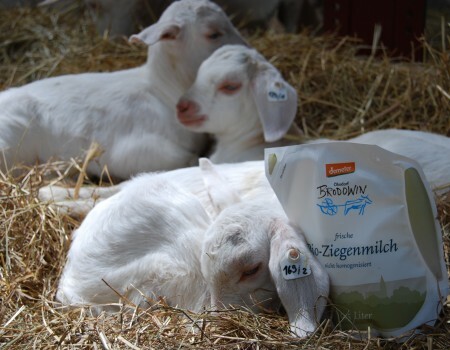 Our around 220 Brodowin milk goats are true gourmets. From spring to autumn they enjoy the fresh green pastures. In addition, they are also fed certain grains and hay. The hay is sort after by the goats! In our strictly ecological farming, hay and grains come from our own farm. 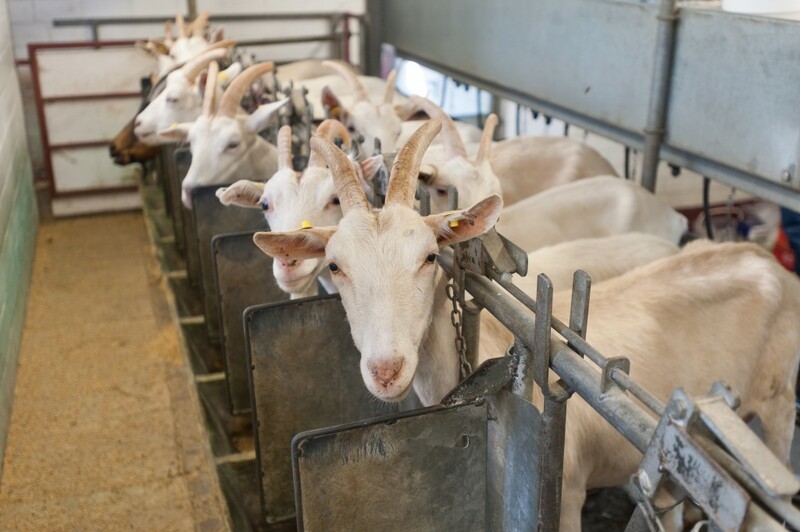 Our goats are milked twice a day. The herd mainly consists of the “White German noble goat” breed, as well as some “Toggenburgers” and “Saanen goats”. 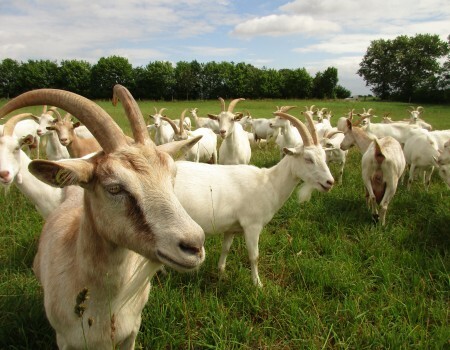 All of them are considered to be milking goats. A good dairy animal produces about 700 to 750 litres of milk per year. 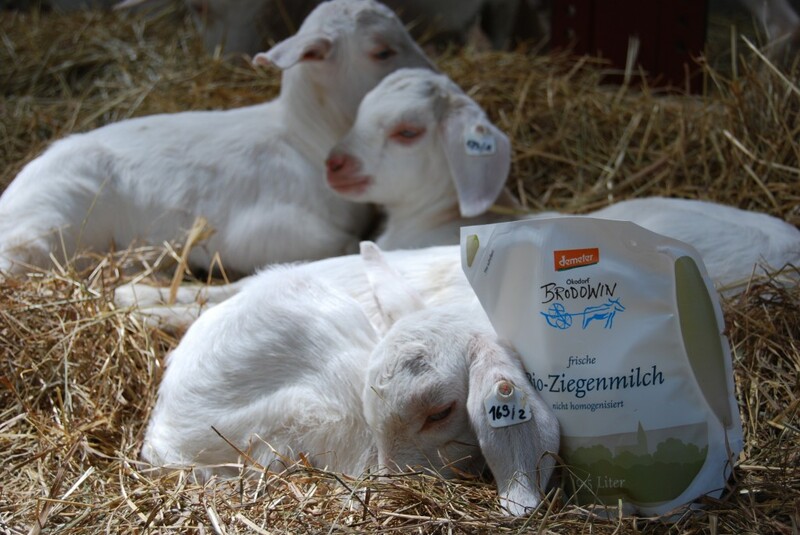 However, goat’s milk is a seasonal product as it is only available from Easter to Christmas. In the intervening 3 months, the lambs gestated in the wombs of the mother goats. 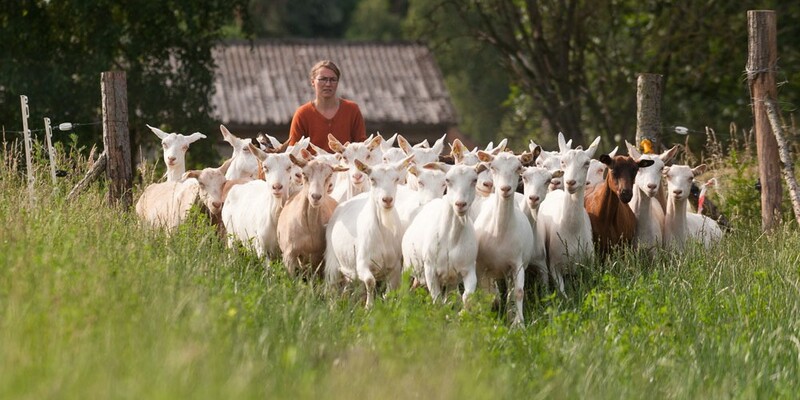 Every spring there is plenty of action in our goat shed. The first lambs are born in February. Twin births are not a rarity here, but rather the normal case. Each year, about 300 lambs are born. The offspring spend the first days together with their mothers in the lamb stable. 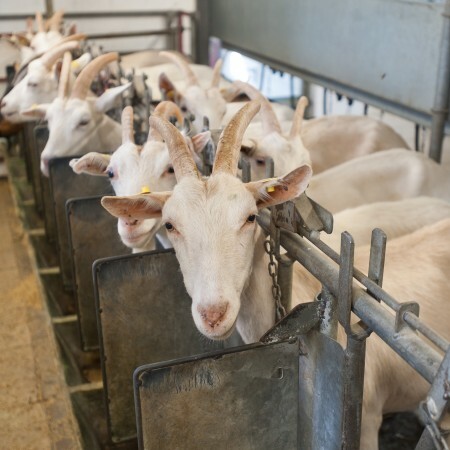 Then the “old ones” move back to their normal goat stable, where we can milk them twice a day. Our fresh goat’s milk, the delicious goat’s cheese, our goat’s cheese in brine, an aromatic goat’s hardcheese and our Brodowin chilli sausage come from our Brodowin goat’s farm.